I made this little pouch to hold my ear buds so they wouldn’t get tangled in my handbag. 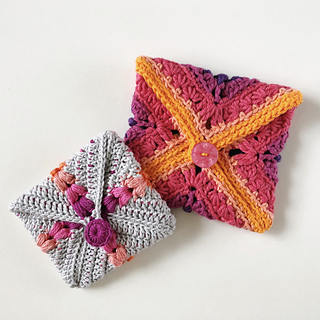 The original pouch was made using the Rainbow Puff Square by Celine of Crafty CC which is just adorable. 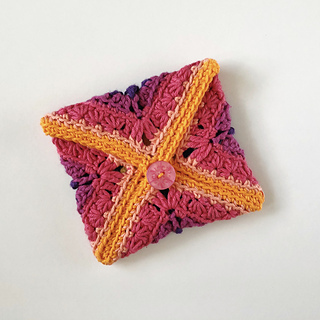 My second pouch was made using my own design, the Tiny Star Square (pattern available in my shop), which also looks awesome as a pouch. 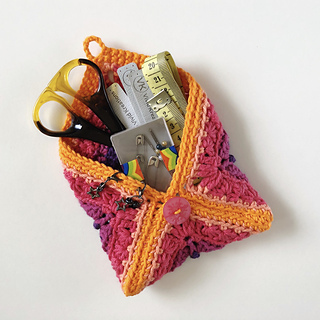 So if you have a crochet square you love and are in need of a little pouch to keep your bits and bobs organised then this one is for you! PDF includes lots of photos and a chart to help you out. 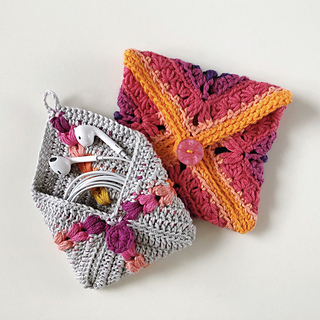 What you need: a crochet square (square design not included in this pdf), small amount of yarn (5-10m), 2 stitch markers or safety pins and a button. 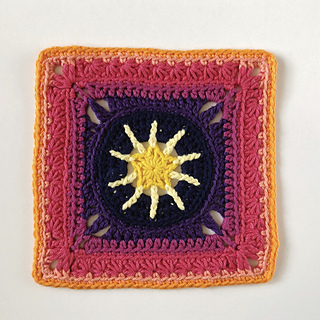 Full colour chart to help with stitch placement. Landscape layout that looks good on digital devices like a tablet. 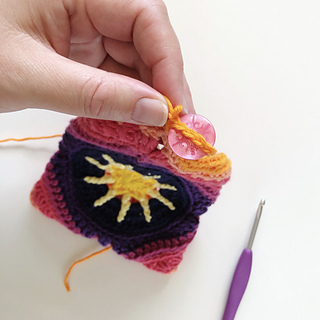 Please note that this is a downloadable, printable PDF version of a tutorial that is available for free on my blog, though the PDF includes extra tips and a chart which are not available on the blog.